The President of the Jasper NAACP was recently arrested in connection with the arrest of his son who was busted in a school zone with drugs. But that is not the big buzz in the town of Jasper. I rarely disagree with Mr. Bellows beautifully written blogs, but he is so far off this time that a response is imperative. First of all, I am a Lieutenant for the Texas Department of Criminal Justice and started as a maintenance supervisor. As a mixed person, I have to put up with a lot of bias, because I shave my head and groom to look Anglo. Some of the bias is offset by my Mason contacts inside TDCJ. 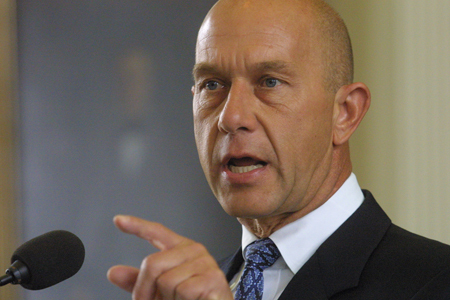 The comments about Senator John Whitmire are unfounded. In order to stay in office, the Senator needs to get the African American vote from neighborhoods like Acres Homes. He even had Beaula Shepherd on his staff immediately before she passed away. Mr. Bellows comments accusing the Senator of improper intentions, in regard to ending the last meal tradition are inappropriate. The white supremist, Brewer, had turned down his last meal and been promptly exterminated before the Senator took the corrective action. African Americans have always been the most likely to be executed. White people get prison time and probation for the same types of criminal conduct. For the last meal policy change, the impact will impact the African American dead men walking more than their caucasion counter parts. There are more of them on death row. Many are wrongfully convicted. These African American "political consultants" know that passing legislation providing fairness in death penalty trials would help the African American community more. The stuff about Jasper hiring and promoting blacks happens in TDCJ all the time. Usually, it is the other way around though. The criminal justice system is white owned and operated. The African American law enforcement professionals do a fine job. There is nothing wrong with using a merit as a basis in deciding which color of person to hire or promote. I am confident that was done with the city of Jasper's choice of police chief. Of course Whitmire wants as many votes as he can. He has been a big supporter of the red light cameras that were voted out in Houston. He bragged about killing a bill in 2005 that would have prevented the cameras in Houston from ever being installed. He refused to come out in support of the vote in Houston and Baytown which are both in his district and has refused to comment on the Goldman Sachs camera company working with a federal judge to overturn a vote of the people. When the black voters realize how much he loves red light cameras and the Arizona based Goldman Sachs owned camera company they won't care about a last meal platform.